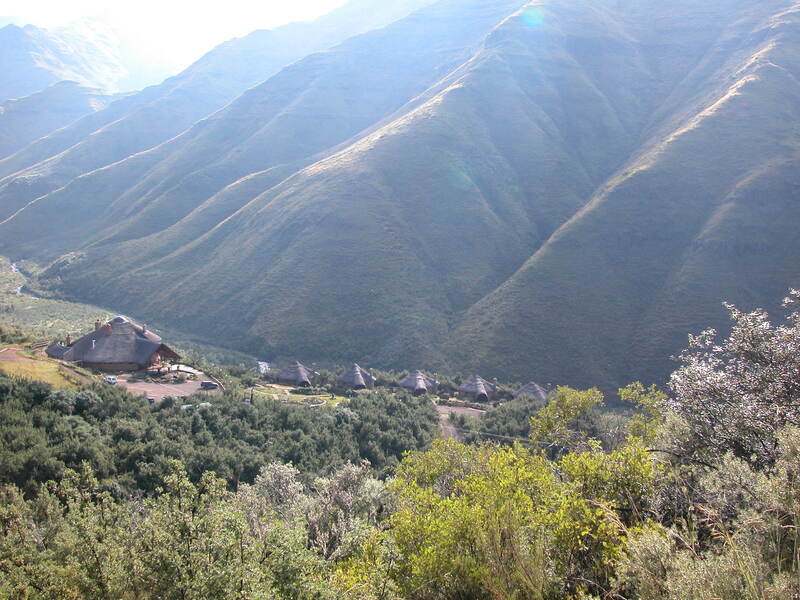 Maliba Lodge is located within the Ts’ehlanyane National Park. The name “Ts’ehlanyane” is the local common name for the berg bamboo (Thamnocalamus tesselatus), from which the river and park take their name. The National park is the most important refuge for this plant in the entire Drakensberg-Maloti Mountain Range. 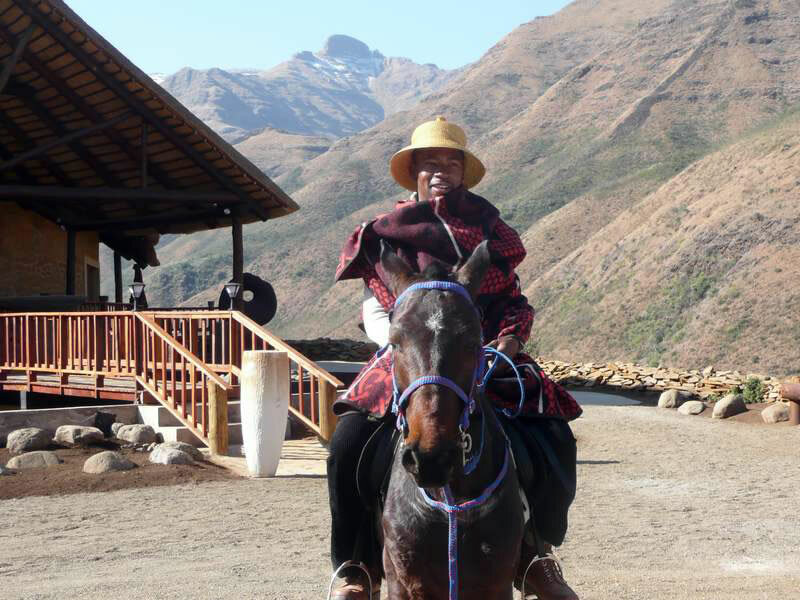 Ts’ehlanyane National Park is only one of two national parks in Lesotho, and makes up an integral part of the greater Maloti/DrankensbergTransfrontierPark. 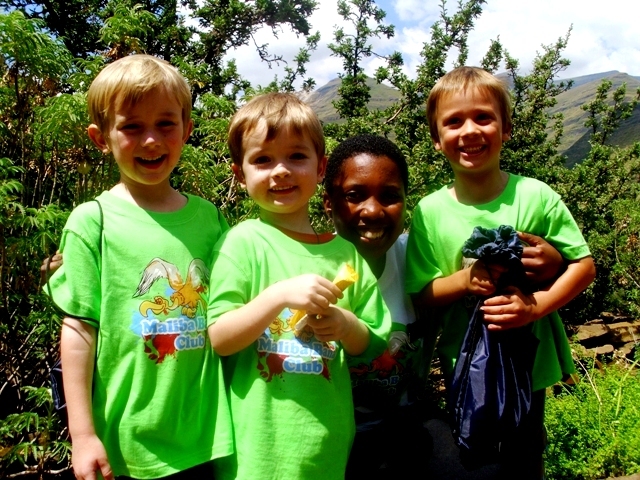 Ts’ehlanyane National Park has an altitude ranging from 1940 to 3112 metres and is considered mostly sub-alpine. It owes its origin to the access road to the Hlotse tunnel as part of the Lesotho Highlands Water Project. This proclaimed protected pristine area lies at the junction of the Ts’ehlanyane and the Holomo rivers. Over 5600 hectares of extremely rugged mountain terrain is protected within this park, which includes one of the very few remaining indigenous woodlands in Lesotho. Some of the finest examples of Che-che, woodland are preserved at the heart of this area, with a number of rare undergrowth plants that are unique to this woodland habitat. On the banks of the rivers and streams are stands of berg bamboo which are of significant cultural significance to the Basotho people. 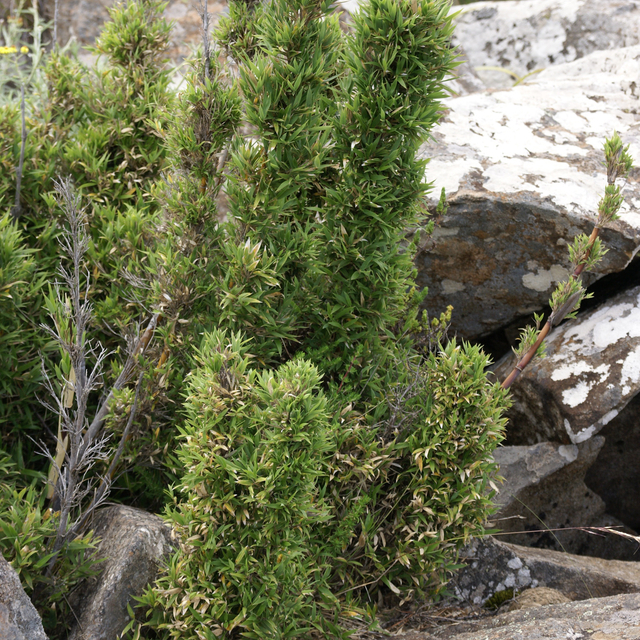 The reserve also encompasses a reasonable proportion of very rare mountain “fynbos” that do not occur anywhere else in the world and also recorded are in excess of 220 flowing plant species. 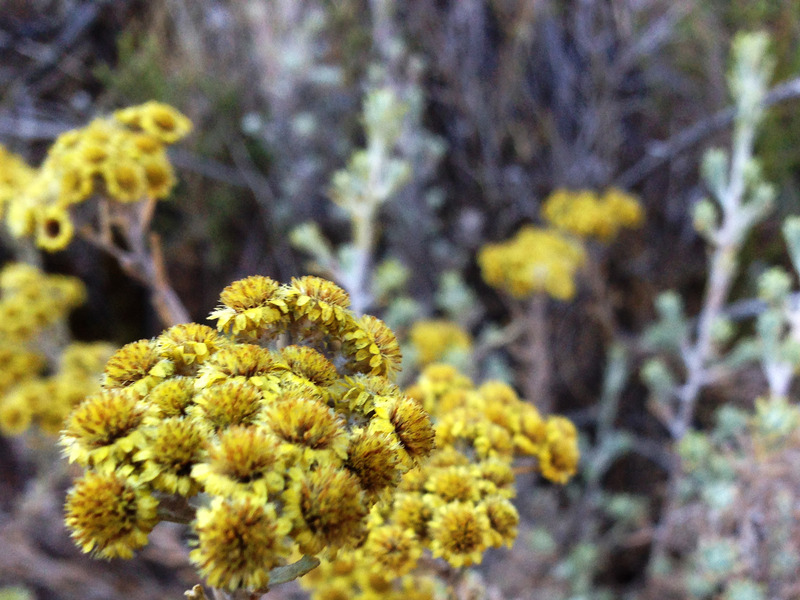 The diversity of habitat types is exceptionally high and derived from the large altitudinal range that the park has. There has been 24 small to medium sizes mammalian species recorded in the highlands area and these include Eland, the African wild cat, black-backed jackal, porcupine, caracal, grey rhebuck, baboon, striped pole cat and rock hyrax, ice rat, the clawless otter. 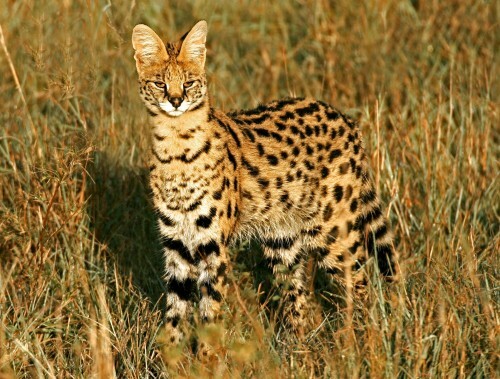 Serval Have even been briefly spotted in the park. The access road to the park traverses the Clarens sandstone formations and Lesotho Basalt formations. In this region there are examples of dinosaur footprints. The park has amazing rock formations, caves, cliffs and rich mineral deposits seen throughout the park area, including crystal clear rivers and rock pools. The highest mountain peaks in the park are over 3200m, and the rich Kao diamond mine is just outside the park limits. The park has 4 major rivers and numerous waterfalls (some of which even freeze over in winter), rock pools, swimming holes. 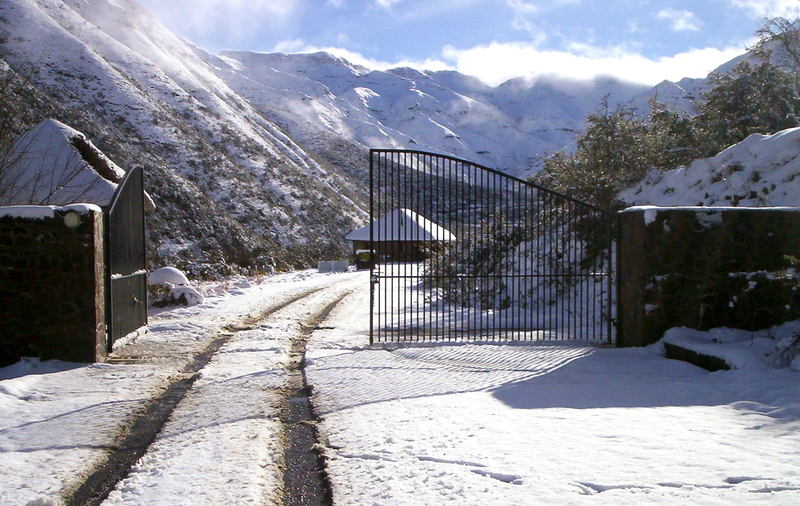 It is not uncommon to even experience a few days of snowfall in the park during the months of June, July & August. 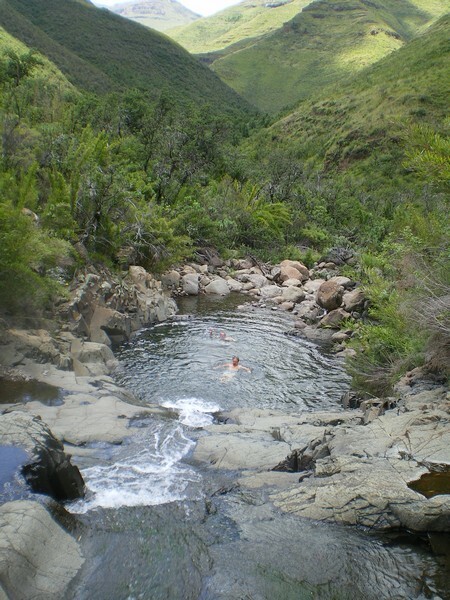 A nearby valley known as the Valley Of The Pools has over 16 deep swimming holes, over a 5km stretch. 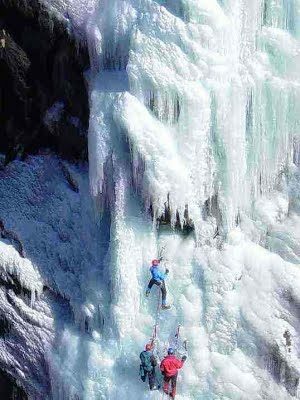 A spectacular triple waterfall known as Lesaloto is also only a 4 hour return hike from the lodge. Visiting the national park you are likely to come across the presence of some 69 species of birds including the Pied starling, Cape white eye, Malachite sunbird, Masked weaver, Rock bunting and the Fiscal shrike.